Follow the naked 11th century beauty, Lady Godiva, as she rides through the medieval streets of Coventry, England fighting for the rights of the common people to not have to give up their gold or their freedom. Listen to the jaunty medieval music as you spin the reels on this ye olde town streets to see characters from this legend such as the Lady Godiva herself as well as her noble steed, her husband Leofric and the Peeping Tom, alongside the traditional card deck stylised in traditional lettering of the time. Will you take up banner with Lady Godiva and fight for your fights and your gold here on WS? Pragmatic Play might be the new kids on the block but they strive for engaging and evocative gaming experiences for their all their players across 78 countries and 23 languages. With the main focus almost always on video slots, Pragmatic Play know how to do more than tell a visually stunning story, they provide their users with a fantastic collection of games that give out very decent payouts too. If you’re looking for innovative, fun and high-quality games then look no further than Pragmatic Play. Click the link to see slot games by the provider. Lady Godiva is a legendary game with a legendary theme that sees the beauty Lady Godiva herself ride through the streets of Coventry to bring you wins and good fortune. As the story goes, the town of Coventry was made to pay huge taxes to the Lord of Coventry, Lady Godiva’s husband. When she begged him to reduce the taxes to help the common people Leofric told him he would, as long as she was the ride through the town naked on horseback. And so she did, reducing the people’s taxes and being a town hero. 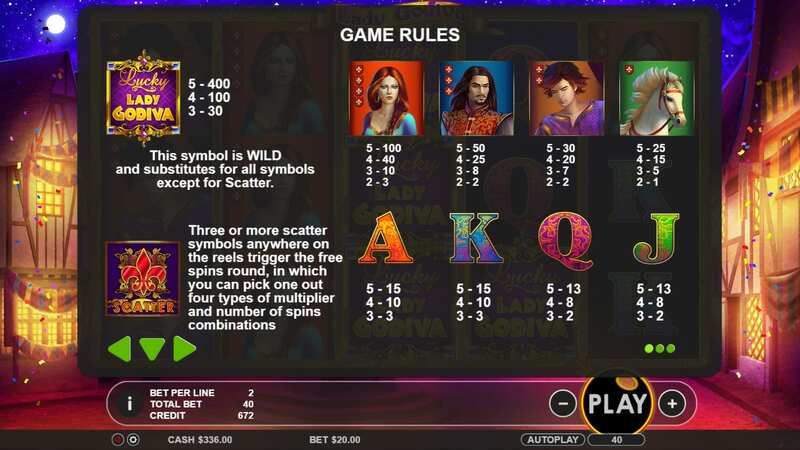 We narrowed the recommendations on what to play online slot best games for new players in this guide. 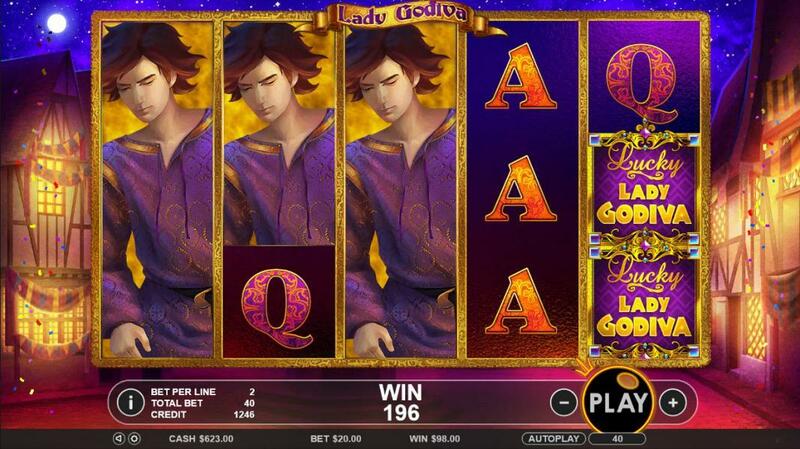 A relatively uncomplicated game, Lady Godiva has 5 reels and 20 fixed paylines, stacked icons as well as free spins. This game has a lot more to offer than just a history lesson and a beautiful naked noblewoman. Read on to find out more about the gameplay below. ● The Lucky Lady Godiva symbol is this games Wild, substituting for all other symbols except the Scatter.